What is a Google Street View? How did TechDost get certified? Who is in the TechDost 360° View Team? What gadgets does TechDost 360° View use? How far has TechDost 360° View worked? Are you a company or business trying to flourish and be the best at par? Well, then you must know that “perspective changes the meaning of everything”. A better perspective always implies clearer positive views on the subject along with increased development in interests. TechDost does the exact same for your business through its newest venture TechDost360o View. Google Street View is a technology that provides panoramic views from positions. It provides a better view of places and things you wish to portray via Google Maps and Google Earth. Google certifies only the finest of companies as their agent for Street View. TechDost 360o is one of the few companies certified so far. Street View is the base of Google Street View Virtual Tour. As a part of the procedure, TechDost needed to publish 50 high-quality 360o photos of various locations to get approved. When Google had approved each 360 photo manually to check its dimensions, quality and image size, Google sends us an email to list our business on Google official website. Currently, TechDost 360° View team consists of two eminent Google Street View Trusted photographers – Shani Deshwal and Akshit Chaudhary. Shani Deshwal is a Blogger, Web Developer, and a Google Local Guide at Level 9. He is a tech blogger and owns various blog on the Internet where he loves to share about tech and travel. He is a part of TechDost Services Private Limited. 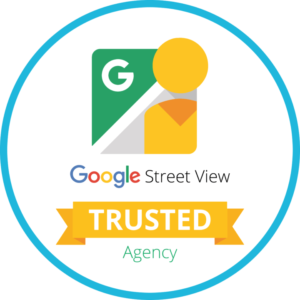 We deal with software development, web development, digital marketing services and Virtual Tour at Street View now. Akshit Chaudhary is an upcoming Architect, Model Maker, Crypto trader, Google Local guide at Level 7 and Google trusted Photographer.having an inclination towards Architectural & Nature photography. Having an Entrepreneurial mindset he is experimenting in the field like Virtual Reality, Architecture and photography.he is also working with some Startups like Engigyan. 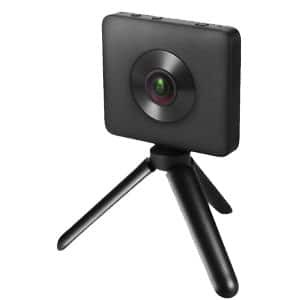 Insta360 One camera: The Insta360 ONE shoots in every direction at once, capturing life in seamless 4K 360° video and 24 MP 360° photos, can be used singly, attached to the phone or by using an app directly. Once you’ve got your shot, re-frame the best parts, or share a full 360° experience straight from your phone. MI Sphere Camera: It is another 360 camera with Dual wide angle lenses and Dual 1/2.3″ Sony image sensors at 1600W allow seamless transitions at resolutions of 6912×3456. It supports 6-axis electronic image stabilization. Manfrotto Monopod: It’s perfect for compact cameras, weighing up to 1.5kg with Push button locking mechanism for easy setup and comfortable handgrip to capture great videos. 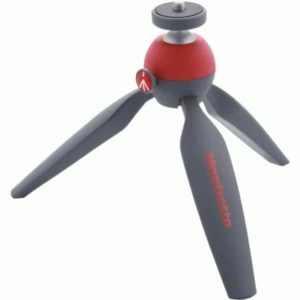 Manfrotto Mini Tripod: It is another tool to weigh Manfrotto monopod and 360° cameras on it. We have uploaded around 100 photos till date and we got 1.1M+ views on the photos thus enlarging the businesses of our clients to a wider extent. Our photographs are highly up-rated and have been immensely helpful to our client companies to showcase their business and their perspective about the world. Images being the most important part of the presentation of any work and attitude, TechDost provides a boost to your venture by defining the best high definition eye-catching pictures of your work area, working professionals, and the whole business prospects. Interested to get awesome high definition Virtual Tour of business clicked by TechDost and tagged on Google Street View?